Final Stage is not the new movie. The new movie is completely separate from Final Stage. They are two completely different things. Therefore, no, Final Stage is not a film. There is a new film, but it is not Final Stage. I know that, no need for the reminder. What I am saying is I wonder, with this PPV channel being disconnected, if the producers might switch mediums from being a TV series to a movie or maybe an OVA. I can't wait for the Initial D Battle Of The Gods er...Touge movie! In all seriousness, will Final Stage and the movie be releasing close to the same time of one another or is the movie expected to release much later than Final Stage? I was looking around and couldn't find the answer to that question. It won't be a movie. OVA, sure. ONA, sure. Movie, no. We don't have a release date for Final Stage yet. The new movie, however, will be released in summer 2014. Thanks for the information Perry! I just wanted to make sure. Sounds like they have a good amount of awesomeness lined up for us next year! Wow, they actually made a 5th stage. And I still have an account here. I may have to watch this, glad to see a site I know putting up the vids. So, fun thing. I was watching this Animax special on the history of Gundam and suddenly there was a commercial for Initial D (in glorious 1080i!). Apparently they're showing both The Road to Fifth Stage as well as Fifth Stage 1-4 on May 18th starting at 9PM (Japan Time). Considering this is not a PPV/VOD channel and is broadcast in 1080i, that's pretty awesome as far as source material goes. Trust me, it looks a hell of a lot better than those crappy DVDs they released! Does anybody know when will the Fifth and Final stage will be in English like the first 4 stages? Can't wait!!!! Never. Funimation made very little money from the dubbed DVDs, so I don't see them going out of their way to get Fifth and Final Stages licensed. It's sad that this is the case since I actually really liked the dub they did for Initial D.
Anyways, thanks for the quick response. I guess we the fans, can work into a new Project D but this time as in Dub Maybe even Spanish too. I might be new here but I am LOVING this site already. The reason of why I love Initial D is because I identify myself a lot with it. I am System Engineer originally from Peru so if there is anything I can help out with on this site, please don't hesitate to ask. Funimation made only one dub. You are mistaken. I am pretty sure I am not... maybe I phrased my statement wrong so let me try again. I saw an original DVD which for example, they called Takumi just Tak and the background music was not the euro beats like the series in Netflix... so maybe a different company rather than Funimation dubbed the DVDs? Anyways, don't really care as long as it is in English. What do you think it would take to dub the new stages? That's the Tokyopop version. It is no longer available. If it was on Netflix, it would have been way back before Funimation got the license to make their own dub. Has anyone noticed that Ryosuke and Fumihiro are dressed the same in some of the episodes? They're both wearing a sky blue polo shirt with khakis. I have made it my unofficial goal to wear the same color shirt as another member here, Grappler, at the office as many days as possible per week. Sometimes people wear the same stuff. It's called magic life. Finally.. a Blu-ray version of Fifth Stage and Final Stage. Took them long enough. I'll tell you, though, that's about ¥40000 more than it's worth. Yay! The Initial D fanbase are full of people who just love to torrent stuff! No wonder Initial D died. The fifth stage was missing something. and for me it is the battle between Takumi and Keisuke. 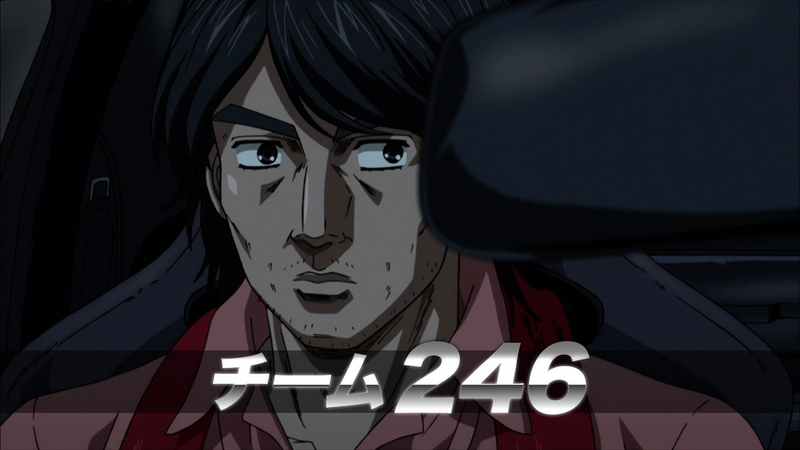 for several episodes, keisuku has said " Do not loose before our rematch" he said it before takumi raced Nakazato and on the last stretch when keisuke was watching the last stretch of the battle between Takumi and Seiji. also there is little character build up of the Project D's oponents. they just came out of no where. sure background is stated but the suspense build up is not there.